An unjust conviction is one of the most frustrating legal hurdles for a client to overcome. It may feel as though the criminal justice system is stacked against you and nothing can be done to right the wrong. All is not lost. With experienced and skilled representation, there are a number of options following a conviction that can help a client reverse an injustice he/she has been handed. The Boston, Cambridge, and Quincy criminal defense lawyers at Bellotti Law Group, P.C. have amassed decades of experience successfully handling appellate and post-conviction matters in courts throughout Massachusetts. Our attorneys have provided accessible, aggressive, and affordable criminal appeals defense to many clients in a wide range of criminal cases. Sometimes judges and other court personnel issue rulings that do not comply with the law or facts of a case. When this happens, it is possible to seek review by higher courts to challenge the legality of the lower court's decision. Whether we represented you on the underlying case or not, Bellotti Law Group, P.C. is ready to assist you with an appeal. Contact us today at 617-225-2100. The criminal defense attorneys at Bellotti Law Group, P.C. have successfully handled many appeals in a wide array of criminal cases, including motions for new trial, motion to revise and revoke a current sentence, reversal of convictions, and motions to seal or expunge criminal records. To effectively argue an appeal or other motion based on challenges of prior court decisions, your attorney must be confident with his or her knowledge of the current state of the law. Most people do not realize how often, and how dramatically, laws can change. 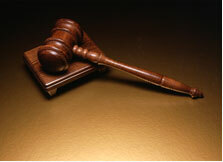 At Bellotti Law Group, we are always up to date on the most recent decisions and opinions from the higher courts. After all, these decisions shape and govern the laws we live with every day. Our attorneys know how to draft persuasive memoranda that highlight the particular aspects of the law that can help your case. They are prepared to go to court to argue and advocate for your rights, and will never shy away from defending you against the challenges issued by a skeptical judge. Successfully sealing or expunging a criminal record can have a drastic impact on your current and future ability to maintain and secure gainful employment. We have won hundreds of motions to seal or expunge criminal records, which better allows our clients to find and hold employment, as they can confidently and honestly state they have not been arrested or convicted of a crime. A criminal conviction often carries severe penalties, including jail time, fines, probation, and community service. Post-conviction relief can reverse these and restore freedom to your life. We are ready to help you make the right decisions. Bellotti Law Group, P.C. serves Greater Boston, Cambridge, Quincy, Braintree, the South Shore and all of Massachusetts. Contact an attorney at our firm to discuss your case and the reasons you feel you may have a legal challenge to a ruling in your case. We can be reached through our online form, 617-225-2100,.